This novel is set from the summer of 1917 to late September 1918. Roy Tacker’s outlaw gang is captured during a bank robbery, and is offered the choice of going to prison or joining the army. They choose the latter, and soon find themselves embroiled in a World War. Roy’s brother Jace and another member of the gang, Aaron Gault, eventually join the Army Air Corps. Arriving at the Allied aerodrome, they are greeted by men named Wentworth and Allard, who soon depart for a special mission. Richard Wentworth and Kent Allard will later be known as the Spider and the Shadow, respectively, bringing this novel into the CU. Wentworth and Allard are both described as pilots. However, while Allard was indeed a pilot during the entire length of his service in World War I, Wentworth served in the French Air Corps until the United States officially entered the war, at which point he joined the American infantry. 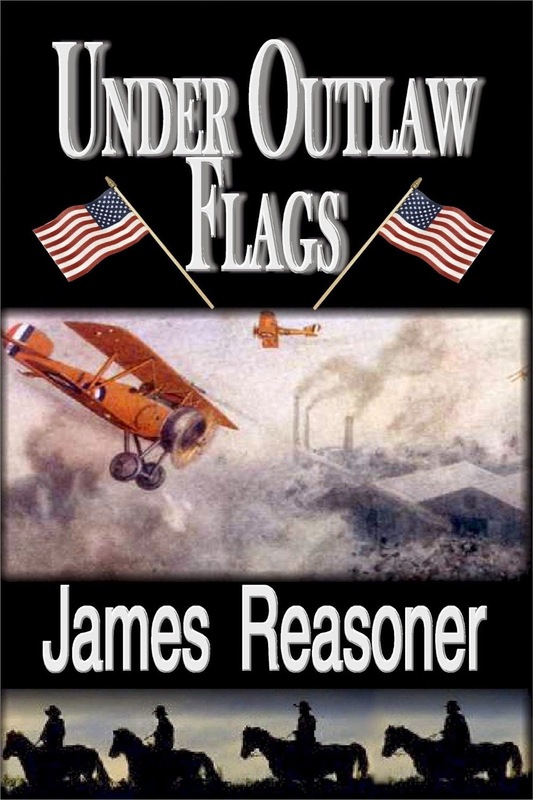 Reasoner’s novel is primarily narrated by Drew Matthews, another member of the Tacker Gang, in his old age. Drew was not present at Jace and Aaron’s encounter with the two future vigilantes. Most likely, his friends heard about Wentworth’s service in the French corps at some point, and assumed that he was still in it, passing that false info on to Drew when they recounted their exploits to him. Could it be G-8 instead of The Spider given what happened in Adventure of the Peerless Peer? That's a really interesting suggestion. Maybe.